Shrewsbury – Natalie J. (Colla) Cipro, 100, longtime Shrewsbury resident, died peacefully Jan. 10, 2018 with her family by her side. Natalie’s husband, Anthony M. Cipro, died in 2002. She leaves two loving sons, Anthony M. Cipro Jr. of Worcester and John F. Cipro and daughter-in-law Patti Cipro of Santee, Calif.; four grandchildren, Elizabeth Cipro of Atlanta, Andrew Cipro of Boston and John Cipro and Christopher Cipro, both of California; six great-grandchildren; and many nieces and nephews. Besides her husband, Anthony, Natalie was predeceased by her four siblings, Ernest, Susan, Viola, and Edith. She was born and raised in Worcester, daughter of the late Frank and Congetta (Di Santis) Colla, and had lived in Shrewsbury for over 68 years before she moved to the Beaumont Community in Northborough. Natalie graduated from Classical High School and later in her life received her Real Estate and Broker Licenses. 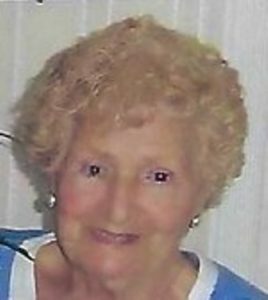 Natalie was known in the area as “The Real Estate Lady.” She owned and operated very successfully Cipro Realty in Shrewsbury for over 35 years before retiring in 1995. She was a member of Saint Mary’s Parish and was active in its choir, a member of the Shrewsbury Woman’s Club and MLS. Natalie kept true to her Italian heritage and was very proud of it and became a wonderful Italian cook for her family. At Natalie’s request, her funeral services will be held privately for her family. Burial will be next to her husband in Mountain View Cemetery. In lieu of flowers, memorial donations may be made to St. Mary’s Capital Campaign, 20 Summer St., Shrewsbury, MA 01545.